Spring is in the air and the birds are chirping, but not this one sat next to my driftwood planter. He is made of paper mache (or is it papier mache?) so it would be a bit weird if he could chirp! Want to make one too? 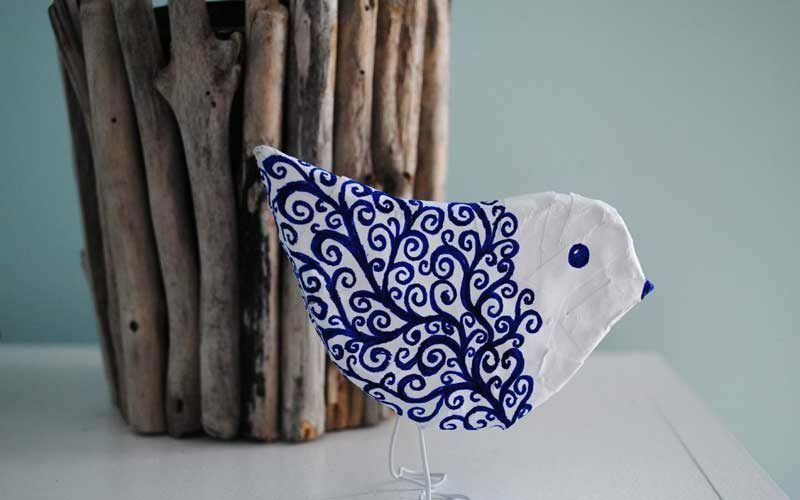 A little flock would look great on spring themed mantle piece. 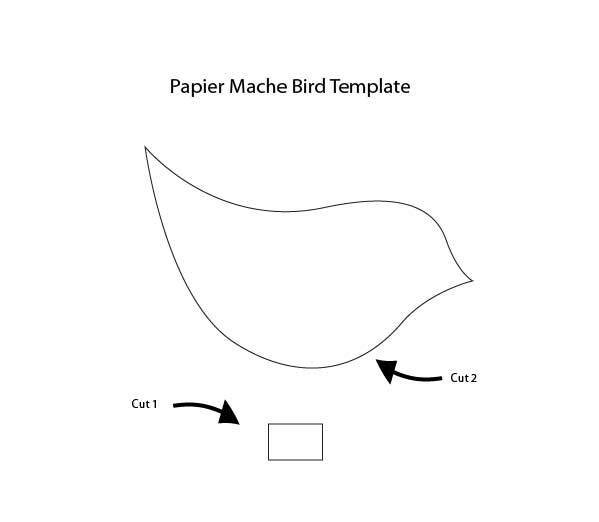 Start by downloading our free printable bird template. 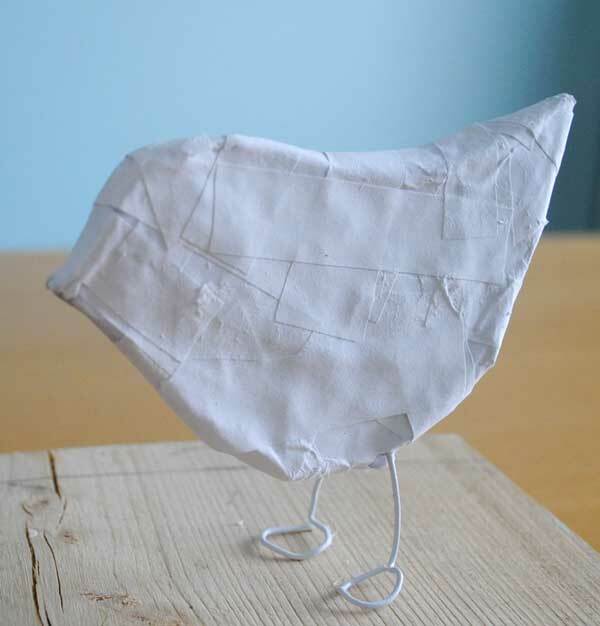 You can print it out to scale or enlarge for a bigger bird. 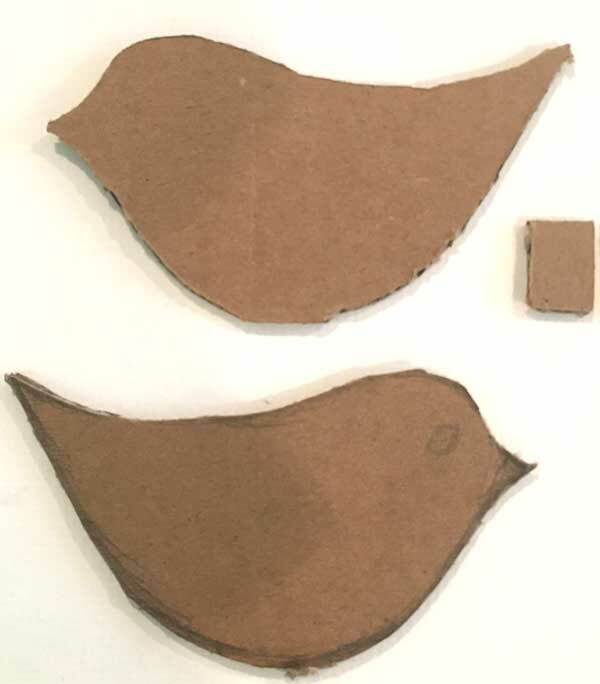 Cut out the shapes and use them to draw the bird form onto cardboard. 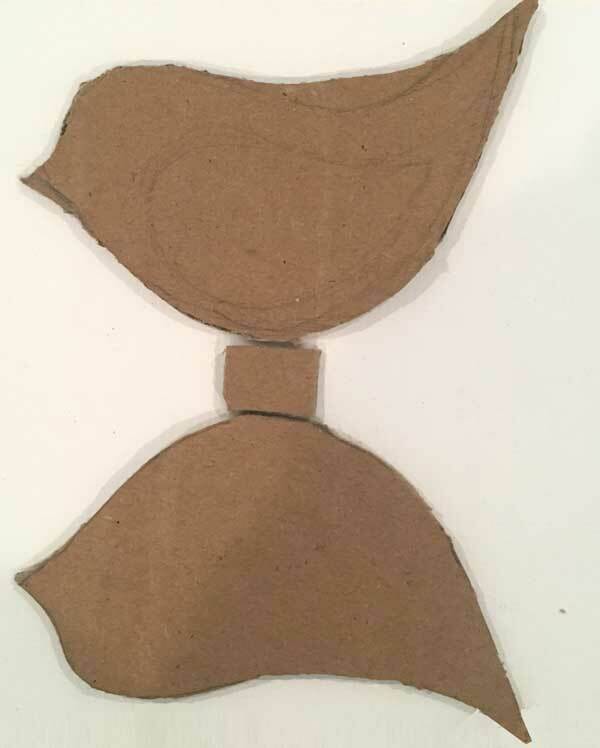 Using a bit of tape, stick the small rectangle of cardboard between the two bird shapes as shown below. 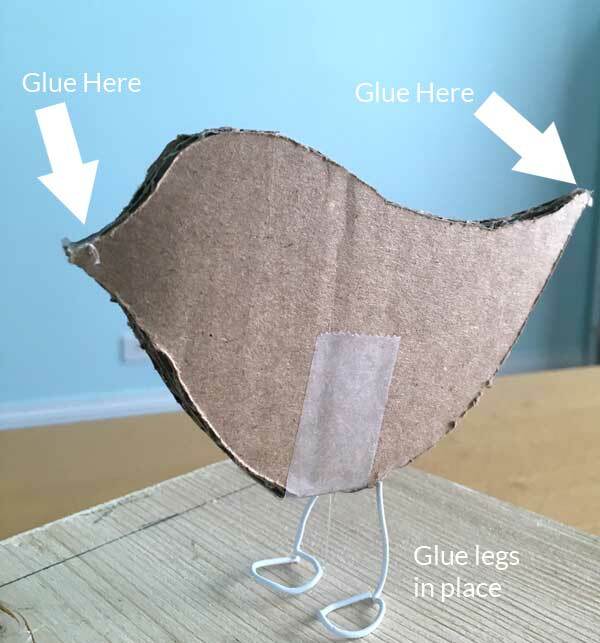 Then fold together the bird shapes and use a little dab of hot glue in the beak and tail areas to hold the shape together. Also glue the legs in place. 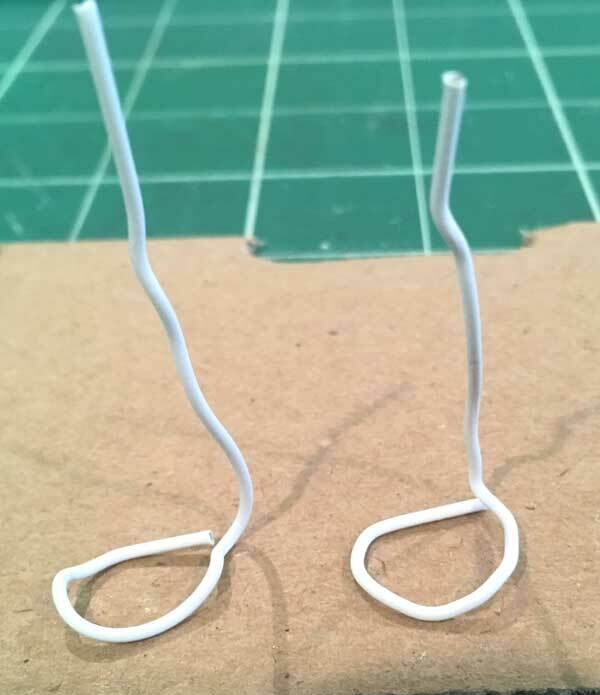 I found sliding the paperclips into the corrugated area of the cardboard the easiest way to get them to stay exactly where you want them. Cut up some strips of junk paper and mix up your glue. 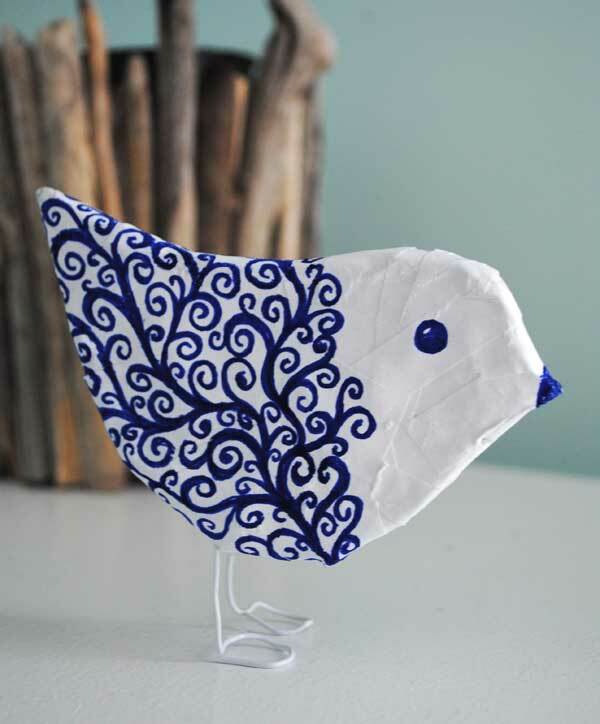 Cover your sweet cardboard bird with a couple of layers of paper mache and leave to dry. Bit scruffy but not to worry! 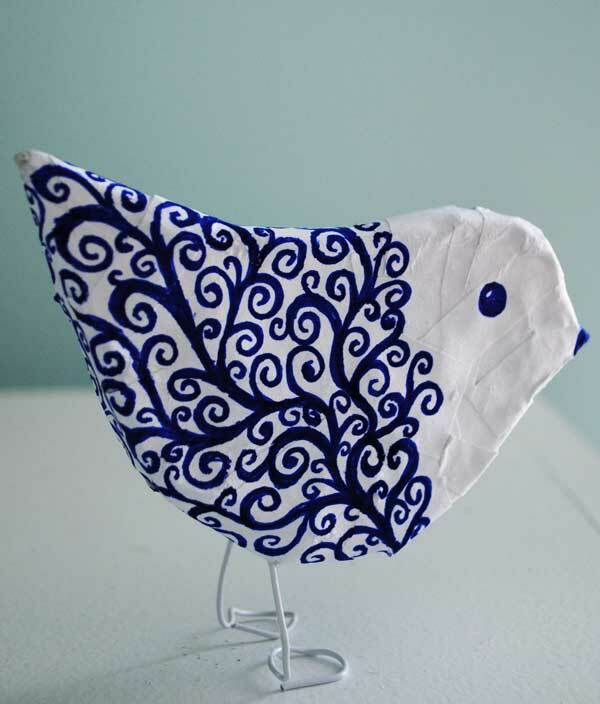 This entry was posted in Art, Art Tutorials, Craft Projects, Decorative Accents, Easter, FREE, Paper, Printables, Trash to Treasure and tagged birds, blue, blueandwhite, tutorial. Bookmark the permalink.